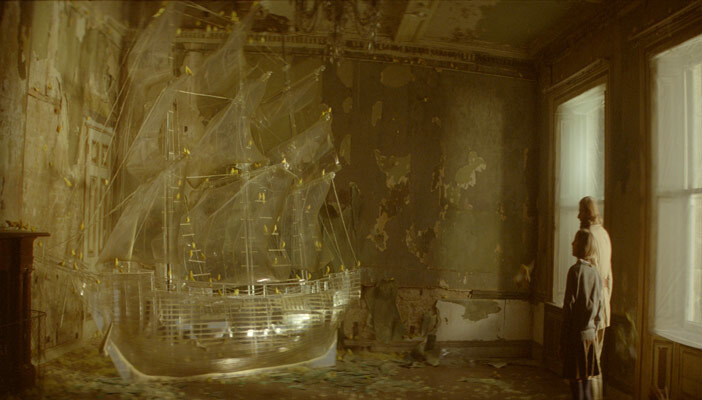 The glass ship was for a personal film project for Tim Walker – The Lost Explorer. The plans for a traditional ship were adapted to be made in clear acrylic, and parts of the “ghost ship” were made and assembled in our workshops. In the dilapidated country house location the ship was rebuilt and given an aged patina to fit its surroundings, and shot covered in a flock of canaries. Later , we covered the ship in an ice effect for a frozen look.